Home N What is Nano? Update: RaiBlocks Rebrands To ‘Nano’. The company went on to explain the rationale behind the new name which you can check here. RaiBlocks is a system designed to provide similar functionality to Bitcoin (distributed transactions) whilst removing all the problems associated with the BTC network (high transaction fees and long processing times). The important thing to mention about this system is that it’s not a standard blockchain implementation – with ONLY other system (IOTA) doing something similar, it is built on top of a proprietary “block-lattice” model, which basically allows for more efficient processing of transactions. Ultimately, the buyers don’t really care. They want Bitcoin because it’s the recognized face of the movement and they will likely not really be bothered about *what* powers the system so long as Bitcoin is the name on the receipt. What’s vital to understand here is that whilst the RaiBlocks system may be superior to Bitcoin technologically, BTC already has adoption, brand recognition and a market. It uses something called a block lattice which essentially means that rather than having one central blockchain database (as is the case with Bitcoin), each user gets their own blockchain database. The benefit of this is that the user’s blockchain is the only thing which needs to be validated, removing all the unnecessary bulk from the validation & processing system – the main bottleneck causing latency in the Bitcoin network right now. To give a perspective on how acute the Bitcoin processing time problem actually is – the BTC blockchain file is now over 100GB. Each time a new block is added to its chain, this entire file has to be rehashed so that the next block can be successfully added to it. If the processor is successful, this will be rewarded with Bitcoins… but as you can imagine, having to process 100GB worth of data and have constant updates being sent over the web to provide fixes / changes to this file… makes the difficulty to process increase exponentially. Whilst a number of solutions have been proposed to this issue – in the form of Bitcoin Cash and Bitcoin Gold amongst others, there hasn’t really been a concerted way to speed up the underlying transaction mechanism properly. This is where RaiBlocks hopes to play a role. Instead of having to calculate an entire 100GB file each time, RaiBlocks just requires the transactions between each user to be processed. This not only speeds up the transaction time, but because of the low CPU power required, it makes the process near-enough free. Having explained this – you may be able to see the core proposition of RaiBlocks (a clone of Bitcoin but with innovative processing capacity). With a wealth of experience with such companies as Dell, AMD and Qualcomm, he certainly seems to have the credentials & history to provide the underlying technical prowess for RaiBlocks – whether this will translate into business value is another thing entirely. Distributed ledgers have been around for several years as of the time of this writing yet adoption of the platforms has been low and initial adopter markets have failed to materialize. The transaction performance of these systems compared to centralized system is significantly worse relegating them to niche markets that can only capitalize on the benefit of decentralization while tolerating slow speed. RaiBlocks is designed to be a scalable and efficient distributed ledger platform. The design makes several significant improvements over alternatives giving a simple system that can process transactions in seconds making it a useful in a digital world. Whilst it might be easy to jump onto the bandwagon and put some money behind the coins, the big question you need to consider is whether it’s got any long-term potential. What generally happens in the crypto space is that some new coin will come out and the resulting hype surrounding it pushes its price through the roof. Unfortunately, as is often the case with “pump and dump” stocks – the price will drop off the cliff after several weeks. The problem with RaiBlocks is that since it’s got not real underlying asset base (as opposed to the many platforms such as Ethereum or Ripple), its position is somewhat tenuous – it could easily be outmaneuvered by a number of other systems. This is a major problem for the technology driven companies – as RaiBlocks evidently is… they won’t get very far just as a “currency”. What they *should* be doing is creating an underlying platform through which the likes of businesses and other entities will be able to harness the Bitcoin payments infrastructure in a much more efficient way (typically to provide users with the ability to have a cheaper / more efficient solution). BTC has achieved this already. The world doesn’t need another cryptocurrency. Without any core “profit-making” potential, the company will go under unless its able to actually get some real dollars through the door. The mirage of tech-first ONLY works if you’re the groundbreaking technology… RaiBlocks is just another “Bitcoin” to the masses, so they don’t care. They need to provide a more lucrative proposition to “miners” than BTC. In the end, the only thing that has to be said is be wary of the various crypto systems displaying such growth as this. It’s normally driven by hype & rampant speculation. Furthermore, it’s also important to note that currency systems are designed to have a large coin price – they are focused on achieving scale with its network and typically have a limit on the number of tokens they’re able to produce. Whilst this keeps the price per coin quite high, it doesn’t mean that people are actually using the system. Platform systems may appear to be “worth” less (with token prices mostly under 1USD), but their scale, scope and volume surpass all other metrics. I can’t believe this author’s bias in favour of the environmentally-disastrous Bitcoin over RaiBlocks XRB. >BTC has achieved this already. The world doesn’t need another cryptocurrency. Bitcoin’s market capitalization dominance has dropped [https://coinmarketcap.com/charts – third graph] from 87% to 33% in a year. Why wouldn’t this trend continue? Do you see where that might put Bitcoin in under a year? >Without any core “profit-making” potential, the company will go under unless its able to actually get some real dollars through the door. What “company”? 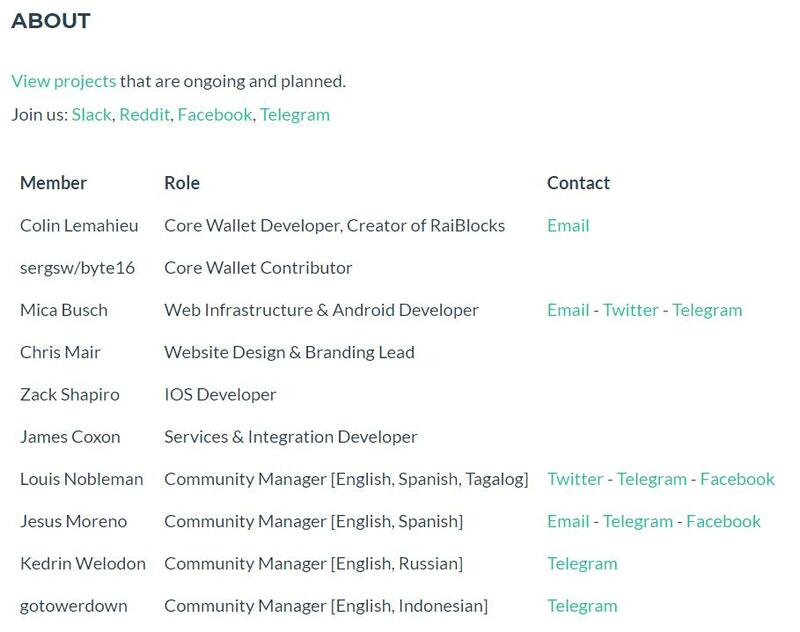 RaiBlocks is a thriving, vocal, communicative community, and it’s putting its money where its mouth is. >RaiBlocks is just another “Bitcoin” to the masses, so they don’t care. Maybe so. Maybe most people don’t care about or understand the underlying technology. But they care about their wallets, and notice when it costs $20-30 in transaction fees (for transactions that take hours or days to confirm.) Bitcoin just isn’t any good at being “money”. >They need to provide a more lucrative proposition to “miners” than BTC. WTF? There aren’t any miners. We don’t need any. Let’s take you back to the future: “Roads? Where we’re going we don’t need any roads”. Each sender performs their own Proof of Work to prevent spamming the network. Weighted delegates vote to prevent double-spend. >…currency systems…typically have a limit on the number of tokens they’re able to produce. Totally irrelevant comment in this context. RaiBlocks is already pre-mined and fairly distributed. The excess over the faucet distribution has already been burnt. So unlike, say, STEEM, it’s not inflationary. Awesome reply. The author its clearly bias. Whenever there is so much hate and trash talk around a new thing thats a clear sign that that thing its something important. Else why would anyone trash talk something without a value it would not even get onto their radar. And I’ve never seen so much hate and trash talking over internet than with XRB. You are missing the point, the author isn’t biased against XRB he’s living in the real world with an understanding of how the business world thinks. XRB is clearly superior to Bitcoin but none of that matters in the same way that renewable energy is better but we still burn fossil fuels. The only reason the average Joe buys Bitcoin is because it’s a quick way to make easy money most people couldn’t careless about making decentralised purchases VISA is free and accepted worldwide. Every second tech company is now trying to offer a better Bitcoin, RaiBlocks has a lot of competition, Bitcoin is a $100+ billion giant regardless of how crappy it is, the odds are stacked against any tech startup focusing on only a single problem, global adoption is key. Bitcoin is pretty much unusable for small purchases, with its +$40 transaction fees and 60ish minutes to get six confirmations, so there definitely is a market for alternatives. 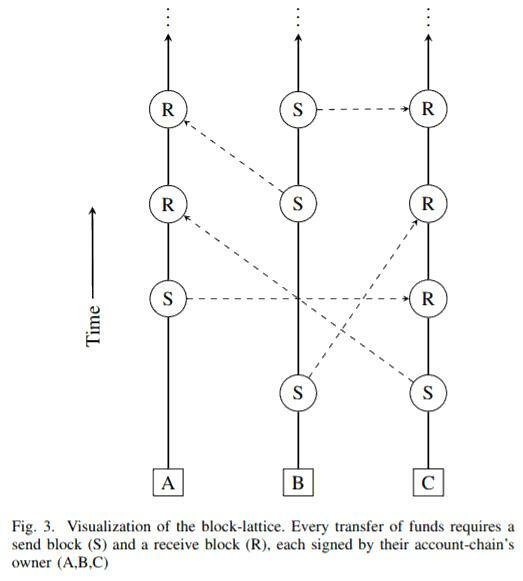 Scalability isn’t determined by number of miners or by how profitable mining is, it’s more about how fast the entire network of nodes can process blocks which stays roughly the same regardless of how many nodes there are. Bitcoin is actually a lot less scalable than most altcoins because of its 1mb blocks and 10 minute block time and its lack of scalability is widely considered to be the main reason why the altcoin market grew so much in 2017. 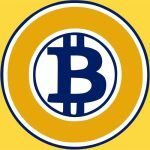 “””[…] the BTC blockchain file is now over 100GB. This is not correct. Only the block to be added will be hashed, with the hash of the previous block in the blockchain. That is why it is called a blockCHAIN. The blocks are chained together. Each new block depends on the previous block in the chain.